It’s no big secret that there are more people driving cars today than there were say twenty or thirty years ago. Cars offer us convenience, practicality and comfort. There isn’t much public transport provision in some rural areas, and so we have no choice but to rely on cars. As a car driver, one of the things that you have to do is venture into a well-populated area, such as a town or city. When you reach those places, you have the challenge of finding somewhere to park. If you drive a small compact, that might not be much of an issue. 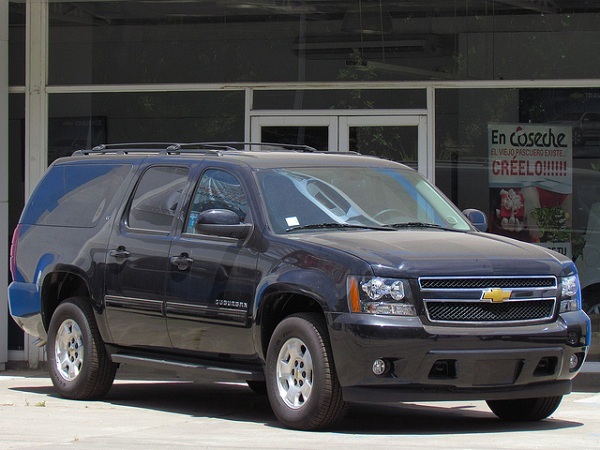 But if you’ve got an imported Chevrolet Suburban, for instance, things can get more difficult! And on top of that, some car parks charge a fortune! One thing I can’t tell you is where to find the best places to park your Suburban. But what I can help you out with is how to find cheap parking spaces! By following these useful hints and tips, you can keep your parking costs down! The World Wide Web offers a great wealth of knowledge and information. One way that the Internet can help you is by showing you where you can park without paying lots of cash! For example, the Best Parking website offers details on many cheap and practical parking areas. It covers many popular cities, and you can even tell it what size car you drive! With today’s modern smartphone technology, you can use such websites when you are out and about. That means you don’t need to research anything first at home beforehand. Don’t have enough cell coverage in your area? If so, I’m sure you will have no problem finding a Wi-Fi hotspot or Internet cafe near you. Places like shopping malls will have places where you can go online. Many people have been hiring out their driveways to other road users for years now! It’s a great way for them to make some cash when their driveway isn’t in use. And it can even deter burglars from breaking into their homes as it looks like someone is at home! As a car driver, finding somewhere to park in a busy area can be a nightmare. But what if there are plenty of residential homes near your destination? If so, I can guarantee you that some homeowners rent their driveways out! According to Jill from the Thames Motor Group, you can hire parking spaces by the hour. You can even hire some per day if you need a long-term storage location. Are you wondering where to find such spaces? Check out websites like Gumtree. There are also plenty of dedicated driveway booking websites out there too. Sometimes it’s easier to park near a train station and get a train to your destination. I know that sounds crazy. But it’s a great way of saving yourself time and hassle. I hope this blog post has been useful for you today. Thanks for checking it out!